Mobile Lead Generation is HOT! 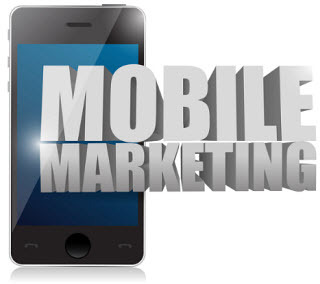 The dramatic increase in mobile traffic gives businesses a golden opportunity to gather leads from mobile users. 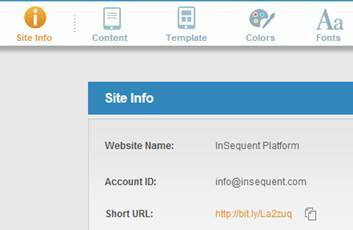 InSequent has enhanced its “Contact Us” form to allow you to do completely customized lead generation. Use it to gather leads for your email lists, customer inquiries, appointment requests, and more. The holidays are right around the corner and shoppers are using their mobile devices more and more. Don’t miss the opportunity to gather those important leads, start using the Lead Gen Form today! Visit http://www.insequent.com to learn more. Because we all need a good laugh sometimes! September Contest Winner of $25 at Amazon.com! 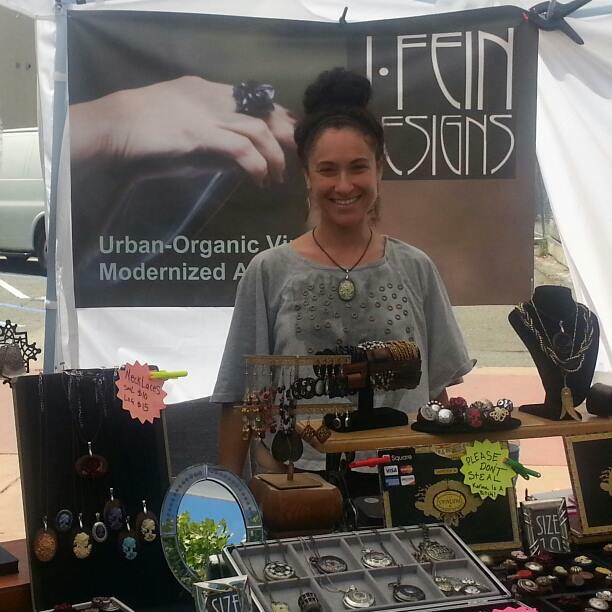 We’re excited to announce that Jessica Fein of J. Fein Designs from Alameda, CA is our September contest winner! We asked our InSequent customers and friends to simply “like” our new Facebook page and they’d be automatically entered to win. Jessica won $25 at Amazon.com! Thank you for “liking” us Jessica and happy shopping! We hope you’ll continue to participate in our contests. Do you want to be a winner like Jessica?! Be sure to “like” us on Facebook and “follow” us on Twitter for information and notifications of our contests. And, you just never know if a random survey or question we post might be the next prize winning activity! So, why not drive all your Social-Mobile users to your mobile site where you can offer them mobile coupons, and have them easily contact you using our click-to-call/map/email features? Just create a message and post it to your Facebook account with the Short URL to your website. The Short URL can be found under the Site Info tab on every account. Drive your Facebook friends to your mobile site and incentivize them to ACT! The world is changing and you should be focusing a lot of your energy on the mobile market. If the thought hasn’t even crossed your mind yet you should be really worried. Luckily it’s not too late, but you have to get in there quick because you’re leaving money on the table. I want to show you how big an opportunity you have in front of you. Do you remember when you had to use a dial-up connection to access the internet from the large computer sitting in your room? After a few years laptops and broadband came along, but now we can access the internet from a small device in our pocket. There is already a huge proportion of the population using their phone to go online on a daily basis. Just because people access the internet from their smartphone doesn’t necessarily mean they will actually buy anything from such a small handset. You would be forgiven for thinking people run home to do all their shopping on their PC or laptop, but they don’t which is great for you. A lot of people have purchased something using their phone. Black Friday gets a lot of businesses excited because everyone tries their hardest to throw all their money away. In 2012 people spent over 50 billion dollars, but have you any idea what percentage of those purchases were completed on a mobile device? Around 25% of buyers used a mobile device, but this includes tablets as well as mobile phones. If you thought the numbers were in your favor at the moment you should wait a few years because it’s going to get even better. Even more people are going to start feeling safe enough to enter their credit card details on their phone, plus think about all the people who are going to buy a smartphone for the very first time. The reason you need to prepare yourself for a mobile boom is because people are much more likely to buy things spontaneously when they’re on their phone. When someone is sitting at a PC they have time to think about what they’re doing. When they have a phone in their hand they will come across something and it’s much easier for them to click on the buy-now button. We’ve touched on tablets already, but you’re probably more excited about smartphones because so many people are walking around with one. I wouldn’t discount tablets just yet because more and more people are buying them every day. In fact, it’s estimated one in three US internet users will own one within the next few years. I hope you now realize it’s vital you start concentrating on mobile because it’s going to make you a lot of money in the future. You don’t want to be chasing everyone in a few years’ time, because it’s guaranteed all the main players will be ready and waiting for the good times to roll in. The author of this post, Nancy Baker, is a part of the team at Want Buy Let Buy, an online electronics shop that specializes in mobile phone accessories. She has a keen interest in Apple products and enjoys sharing her tips and thoughts via blogging. I’ve talked about why people need to concentrate on the mobile market because if they don’t they’ll be leaving a huge amount of money on the table.